We spend almost one-third of our lives in bed, so why not invest in buying such quality bed linen that gives us a relaxed and comfortable sleep. Here are the things that you should know and do before spending money on buying the new bed sheets for your bedroom. You’ve heard about the standard measurements of single, double, queen, king size beds but did you know that these measurements are not fixed or absolute. There is some variation in the measurements that differ for each manufacturer, while the top measurements remain consistent. So, it is important to measure your bed and note down the dimensions from side to side and top to bottom and also measure the thickness of mattress before you go to shopping. Some mattresses are wider or longer than others so make sure you know your mattress thickness so that the bed sheets can easily fit. When you know the exact size of your bed and mattress, it is time to check the measurements of your sheets especially the fitted sheets because they need to be deep enough to fit the mattress. Secondly, consider the factor that many sheets will shrink after the first washing. You are spending almost 8 hours lying on your bed, so why not choose the best fabric of sheets that give you the ultimate comfort. Cotton is one of the most popular and widely used fabrics of bed sheets because it is soft and affordable. But if you want non-wrinkling sheets that are durable and inexpensive, you may opt for cotton blends such as cotton/polyester (the popular blend). For colder nights, flannel is the right fabric to choose as it is comfy and warm. 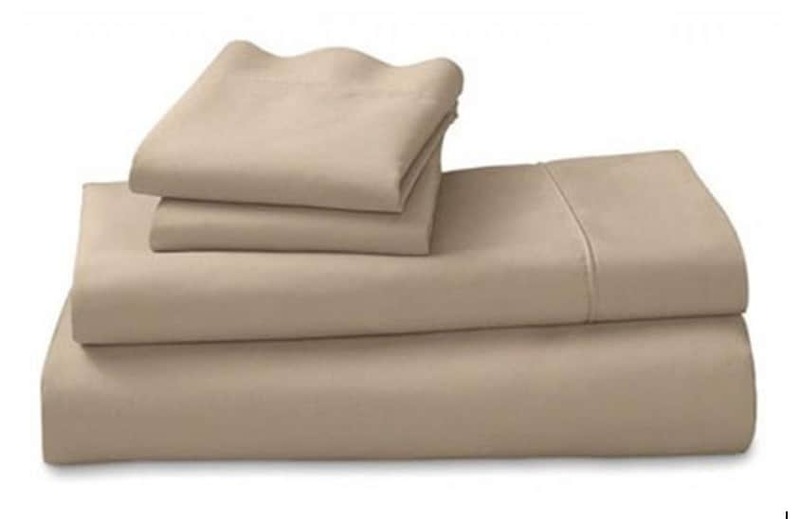 For a luxurious feel, choose silk, satin or microfiber sheets. Also, consider the pillowcases whether a specific fabric suits you the most. You can see the thread count of sheets on the label. Through thread count, the manufacturer tells you the number of threads used per square inch in the weave. You may have heard and may believe that the higher thread count makes the sheet more soft and luxurious. This is not always the case! Some manufacturing techniques allow the manufacturers to make higher thread count without actually increasing the quality of sheets. So, it is not necessary that high thread count makes the sheets comfortable, soft and durable. We suggest you choosing the thread count that is above 250 and it should not be lower than 180. What actually is thread count? Weaving is a method used in the manufacturing of fabric/cloth and there is a wide variety of weaves each having its own characteristics and used for different purposes. 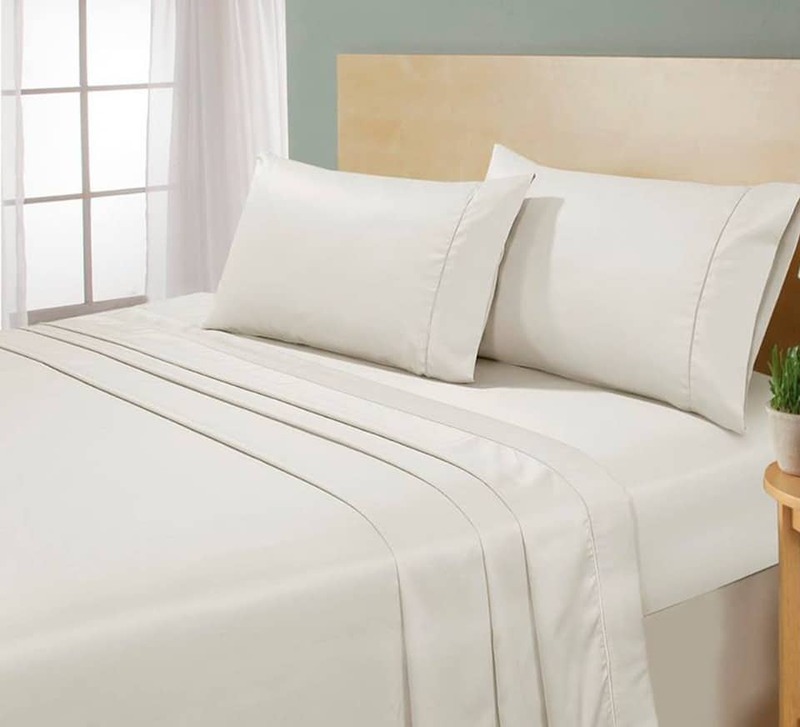 Whether it is sateen or satin that feels smooth and silky or percale weave that feels light and crisp, you need to consider what your preference is before choosing the sheets. If you have spent enough time on deciding which sheets you buy, you wouldn’t want to spend much time again and again. So, consider buying two or three sets of bed sheets along with pillowcases that are identical. This helps you to save your time and whenever there is any spill on the fitted sheet, just quickly replace it with another sheet. Another factor to consider before buying sheets is to check the laundering instructions that are given on the label by the manufacturer. Make sure that you read the cleaning/washing instructions and you are able to follow them as this allows the sheets to last longer. Taking proper care of sheets helps you to return them in case if you face any problem. While deciding about the store from where you buy the sheets is a most important factor to think about because you’ll have a bunch of choices. Most of the departmental stores carry both branded and non-branded sheets available in various colors, patterns, styles, prices, and quality. Secondly, you might walk around to specific bedding stores in your area that have more better options of decorative, luxury sheets than departmental stores. Thirdly, you might be interested in choosing the online shopping where the options are endless. Check out the best range of fitted and flat bed sheets available online at AMSONS DESIGNS.